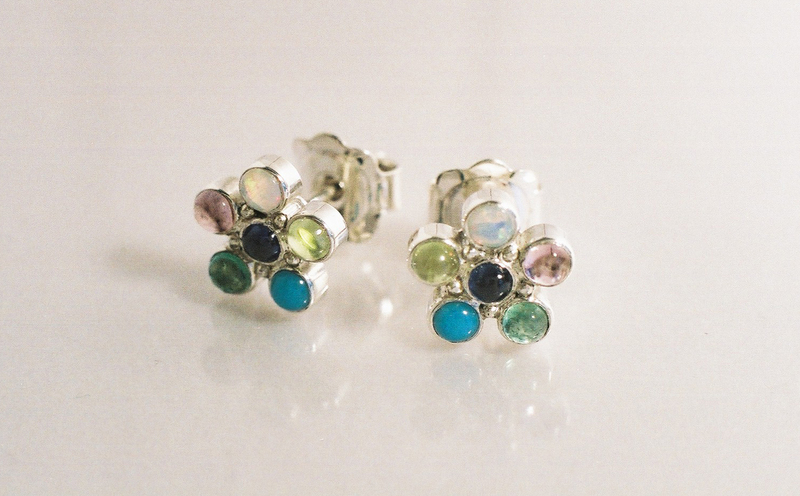 Silver multi gem earstuds, incorporating the birthstone of individual family members. 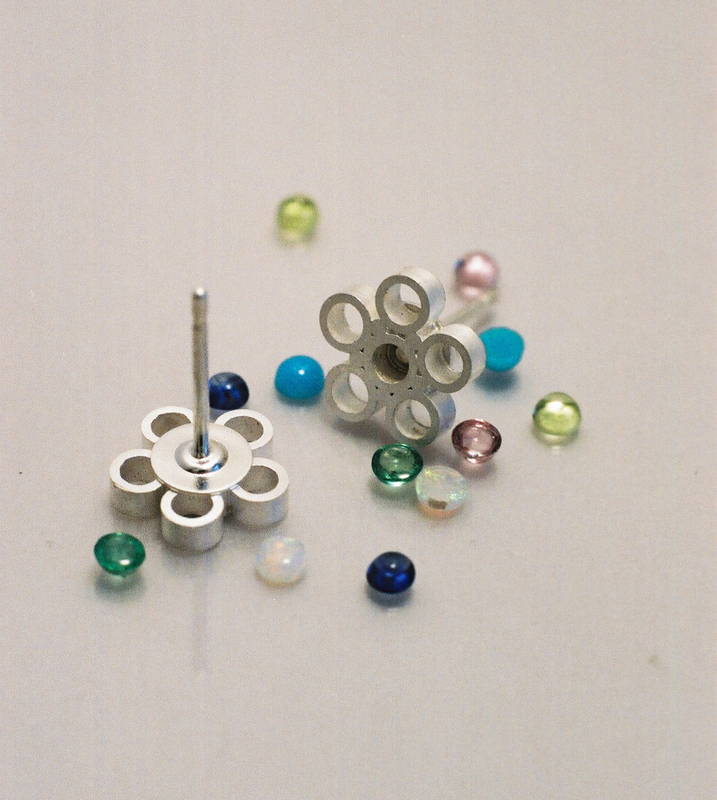 These particular studs contain opal, emerald, peridot, turquoise, sapphire and pink tourmaline. Combinations vary according to your family birthdays. Alternatively just select stones that suit you.